Ryan Baker provides the structural design for a variety of project types, with an emphasis on industrial and federal facilities. He has served as Mackenzie's project manager for structurally-led federal projects, including work for the U.S. departments of Energy and Veteran Affairs. Ryan earned a B.S. in civil engineering with a minor in mathematics from Oregon State University. 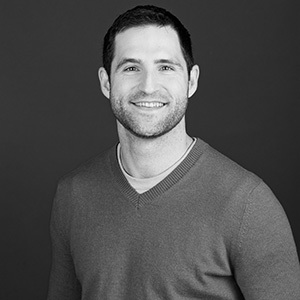 A CrossFit devotee, Ryan regularly participates in Mackenzie's annual Pole Pedal Paddle team and is a past member of the firm's soccer and Dragon Boat teams. He has taken part in the Portland Chapter of Engineers Without Borders. "Seeing others overcome barriers that are seemingly impossible and being a part of their success inspires me. It's impressive what can be accomplished once we overcome our mental barriers and get comfortable with being uncomfortable." an auto mechanic for custom restoration of classic cars. Gimmelwald, Switzerland—The Mountain Hostel. I rode up the gondola to the hostel with a goat. I stayed longer than expected.